I'm posting a few pictures of me from back in the day. See, she posted this photo of her with this bow-tie hairdo, and I encouraged it, saying I'd also post something embarrassing from my teen years. You know, when we all thought we were too cute for this planet but really looked a damn fool? Yeah, exactly. 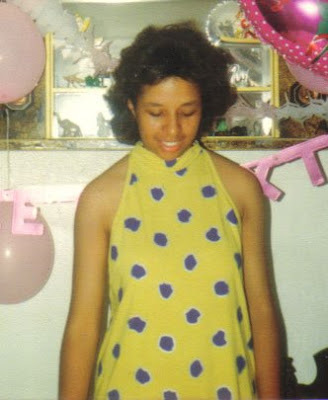 So here it is, me at age 16, on my 16th birthday that was NOT a Sweet Sixteen because Mami and I couldn't see eye to eye on the party details so it was just us at Grandma and Papi's place in New Jersey. See that TERRIBLE helmet hair I'm rocking? That was because my stylist at the time had to chop off all the damaged hair I had as a result of chemical relaxers. This picture reminds me to always and forever keep my and my babies' hair au natural! 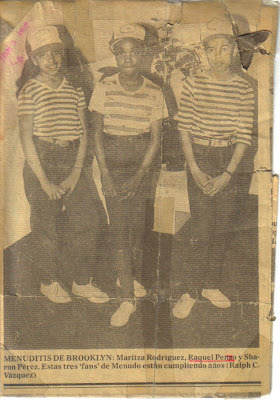 And as a bonus, here's a pic I promised one of my Twitter friends of me and my fellow Menudo Fan Club Members. We were featured in the local Spanish-language newspaper because we had May birthdays. HOLLA! 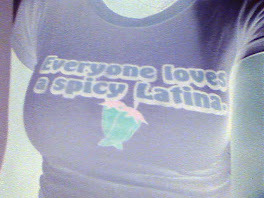 See, I was torturing her with clips of Menudo and felt that, as retribution, I'd post this. Now, sit back and enjoy this good laugh I brought you on this gloriously beautiful Sunday. what's the point of living if you can't have a chuckle at your own expense?